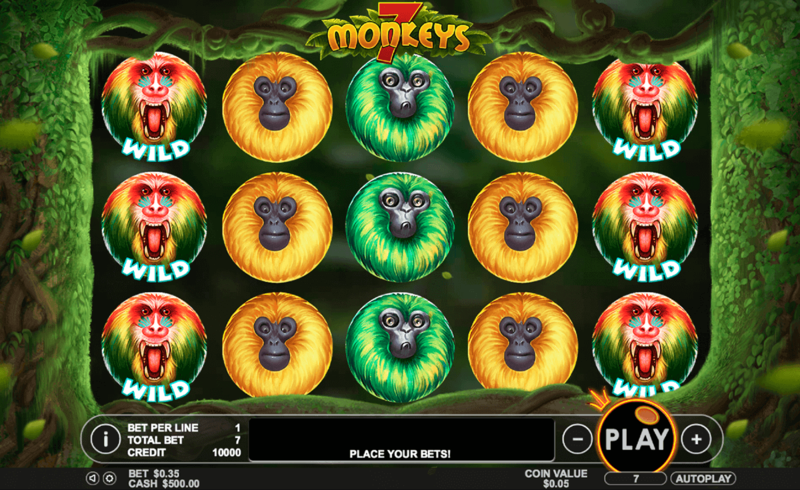 Take a trip to the wild side with Pragmatic Play’s 7 Monkeys, a slot game set deep in the jungle. Discover more with Megareel. A rich, green background of leaves and vines offsets the bright colours of the monkeys’ fur. They each have a distinctive facial expression, ranging from grumpy to surprised. This is a fun, lighthearted game with good illustrations and a simple concept. There are some good multipliers that come with the free spins feature, giving this game added complexity and excitement. This is a fun game for animal lovers so put your deposit down and start spinning today. Find more games like this by clicking here now. 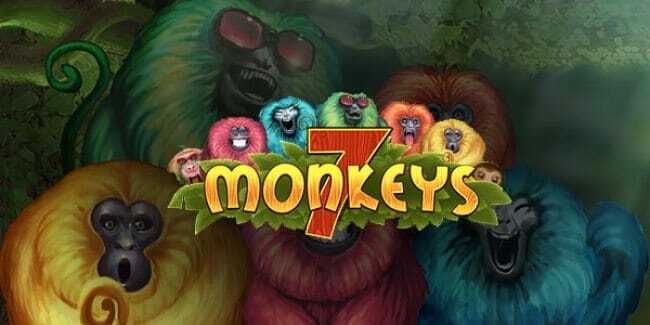 Typical of Pragmatic Play’s slot games, 7 Monkeys has a solid design concept with excellent artwork. It offers fairly simple gameplay, but there is a lot of thought and care put into this game. 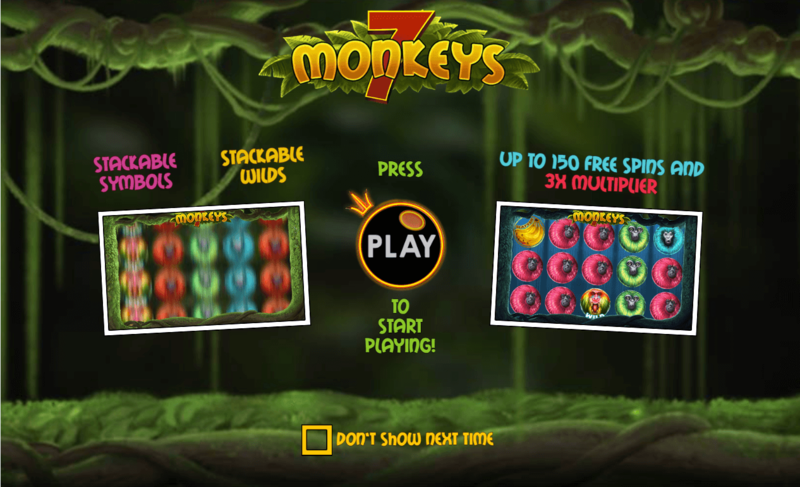 All of the monkeys can land fully stacked, and there are no playing card symbols, so this game is totally themed throughout with a particularly good free spin feature. Not quite in line with the title, the symbols consist of 6 different monkeys, distinguishable by colour and facial expression. You will see a green monkey, an orange one, blue, pink and yellow. The wild is a multi coloured monkey baring its fangs. The scatter is a bunch of bananas. The wild is the symbol you will want to keep an eye on, as it will award you with up to 1500 coins if you land at least 3 of them on the same payline. As for the scatters, this game is particularly generous with the number of free spins you can receive: land 3 and get 50 free spins, 4 gives you 100 free spins and a x2 multiplier and 5 nets you a huge 150 free spins with a x3 multiplier. If you land 3 scatters here, you are given another 15 free spins. This is a fun and simple game with expressive design set to a soundtrack of jungle sound effects. Though the gameplay is straightforward, the potential for loads of free spins and multipliers is the best reason to keep playing this game again and again. Pragmatic Play’s illustrations are sure to make you smile with their monkey business, though they aren’t playing around with the features on offer in this game. Pragmatic Play are showing they are serious about design and good features in this game, so even with its basic theme, this game is still a winner. Like this game? Then you'll also like 5 Reel Drive!